Now OPEN for Registration: The Murder Mystery Quilt & the League of Adventurous Dressmakers! Still Room in the Fall Wardrobe and Pants ecourses! Sewing for Your Home E-Course Begins Today! It’s not too late to join us! Sign up and get started right. this. second. Make lovely things that last, make great memories and stronger sewing skills, and make hay while the sun shines to prepare for a happy home this summer. Bed Skirt, Duvet and Curtains. Sort Of. Giveaway at True Up–One Spot in the Essential Sewing E-Course! Essential Sewing e-course now registering! Um, I LOVE Me a 45% Discount, Yo. Space Still Open in Modern Quilt E-Course! Registration OPEN for the Essential Sewing e-course! 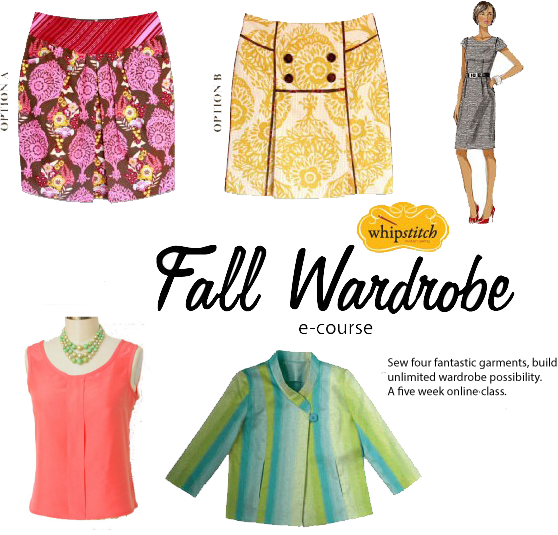 Last Days to Get Early Bird Discount on the Fall Wardrobe Online Class! Fall Wardrobe ecourse: Mastering Sewing with Patterns! Some Questions: Answered. Fall Wardrobe E-Course Registration OPEN! Don't Be Late for Patternmaking, Early Birds!